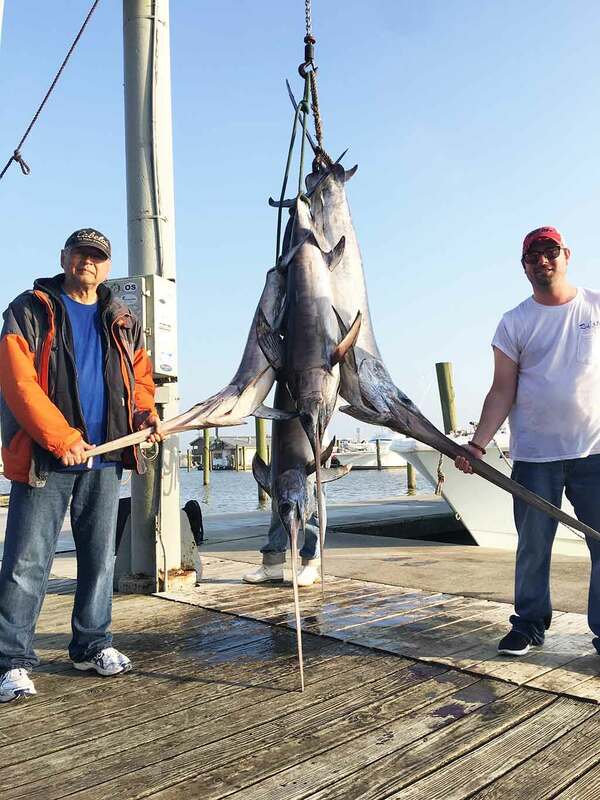 Tuna Fishing is Getting Back To Normal! It has been a weird couple weeks here in Venice, Louisiana. 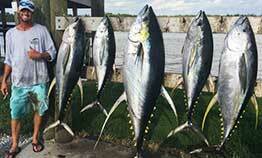 For the first time in a long time, the tuna fishing was slow. 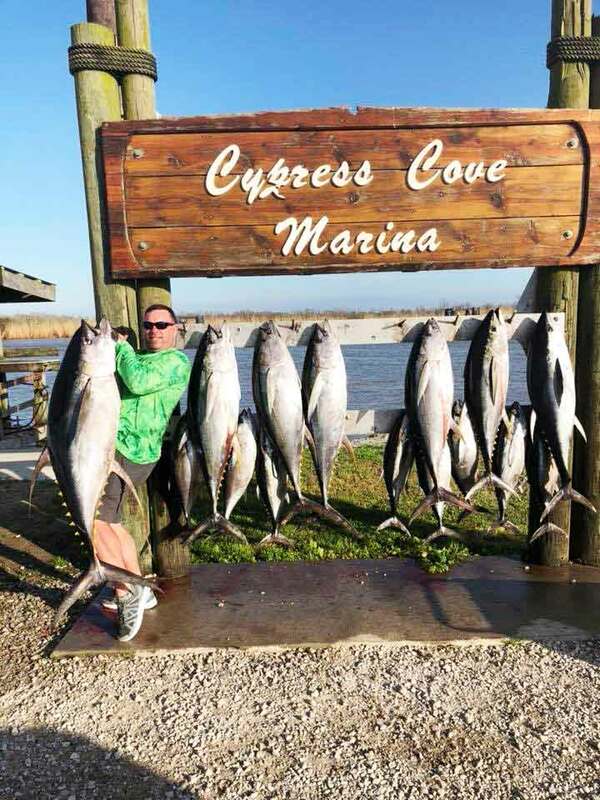 I believe the season transition started early or a combination of late in the year cold fronts, but whatever it is, we are glad fishing is picking back up. To make up for the lack of tuna, we have been targeting the next best thing: swordfish! I have had the opportunity to learn from one of the best sword fisherman and honed the skill over years. With a little luck on my side and a great crew, we have been crushing them. In fact on one trip we boated 4 fish! So that has been the story as of late. 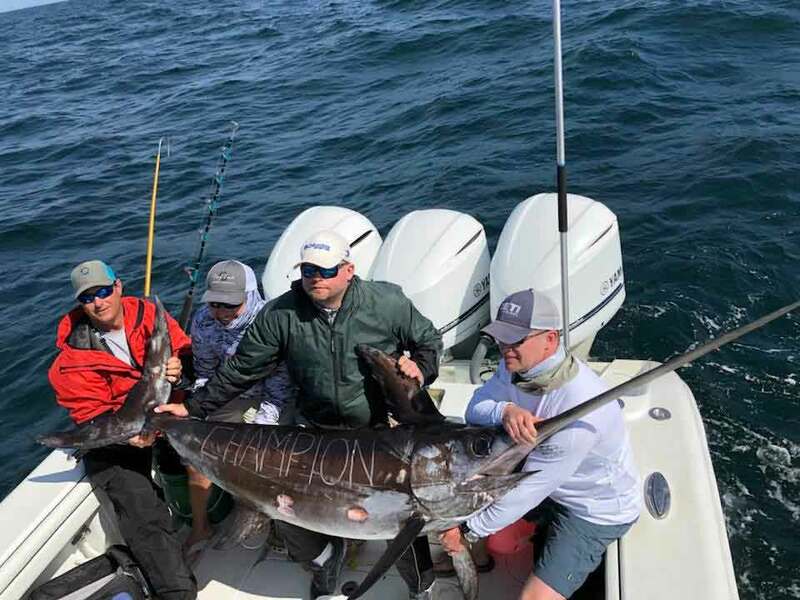 Instead of struggling with a slow tuna bite, we have been putting our clients on the hot swordfish bite instead. Checking my years of log books, I have not seen a swordfish bite like this in a long time. I believe we are better at targeting them now and catching them during the day takes some real expertise, but some other factors such as wind, tides, moon, currents, etc all come into play with targeting swords. One thing that remains constant is if you get a good bait in front of them, they will most likely eat it! This is why we take our time to prepare the bait just right. Whether we use squid, mahi mahi bellies, mackerel, etc, we take the extra time to sew and prepare it just right. 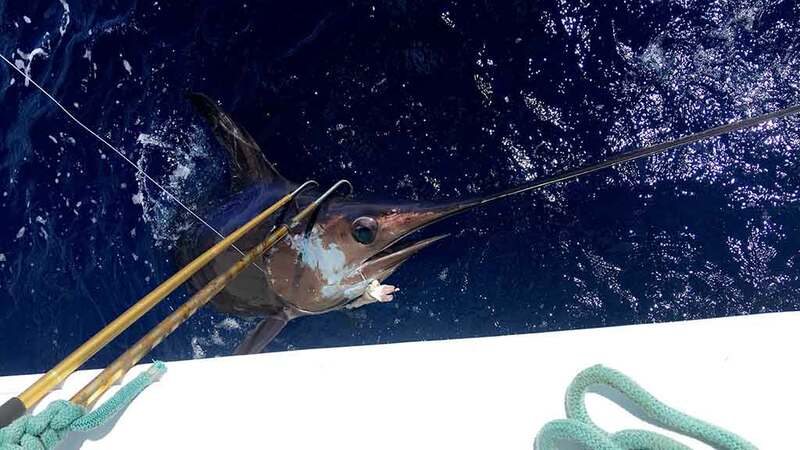 When your bait is very deep you want the best opportunity and most of the time a swordfish will wack the bait with their sharp bill, so it important that the bait can withstand the attack so that they will come back and eat it. Fish on! As I mentioned, the tuna fishing is starting to turn around we are also entering our wahoo season. While I am still fishing for swordfish, I’m ready to get back into the meat of our prized Yellowfin Tuna and put some sushi on the table. This was an awesome day last month and your typical day in April. So I look forward to getting back into the grind and giving my anglers some sore arms! I still have some dates open in April and we are filling up the rest of the spring into summer. I always recommend as soon as you know your dates, to give us a call and book them, because they go fast.